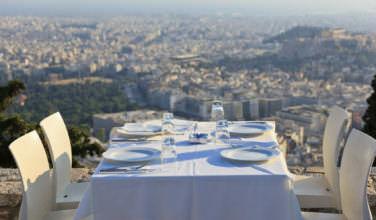 For the average person, Athens is synonymous with the ancient wonders of the ruined Parthenon and the Acropolis. But fast forward some 1,400 years and Athens was a part of the Byzantine Empire [The Orthodox Christian, culturally Greek Eastern half of the Roman Empire, with its capital in Constantinople], and as Orthodox Christianity was a main foundation of the Empire, the Byzantines built several churches across Athens—several of which can still be seen today. We’ll take a look at six churches that are some of the more easily accessible, and famous Byzantine churches within the city center. First off we’ll take a look at the Church of Panagia Pantanassa, Panagia Kapnikarea, and Agoii Apostoli Solaki from the heyday of Byzantine Athens. The Church of Panagia Pantanassa [Greek: Παναγία Παντάνασσα] is a barrel-vaulted basilica and is one of the oldest churches in the city, dating back to the 10th Century and the early Christian period. It is located in the heart of modern Monastiraki Square very close to both the Monastiraki metro station, as well as the Ottoman Tsisdarakis Mosque. The modern square takes its name after the small church, which until the Greek Revolution was ironically called the “Big Monastery”. 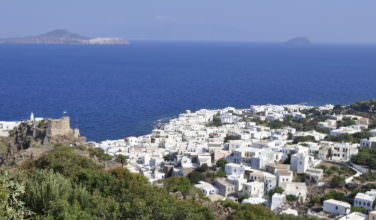 From then on it became known as Mikromonastirio or Monastiraki. The church today sits lower than the level of the modern square around it. The medieval area was full of shops, many of which can still be found on nearby Pandrossou Street. The iconography and bell tower are modern along with other minor architectural details. The Church of Panagia Kapnikarea [Greek: Παναγία Καπνικαρέα] is arguably one of the most famous Byzantine monuments in Athens; it sits several feet below modern Ermou Street in its own plateia. 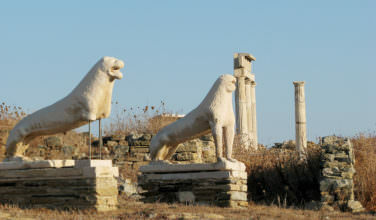 Its domes rest on four columns and are of the Athenian type that matches many of the others found around the city. 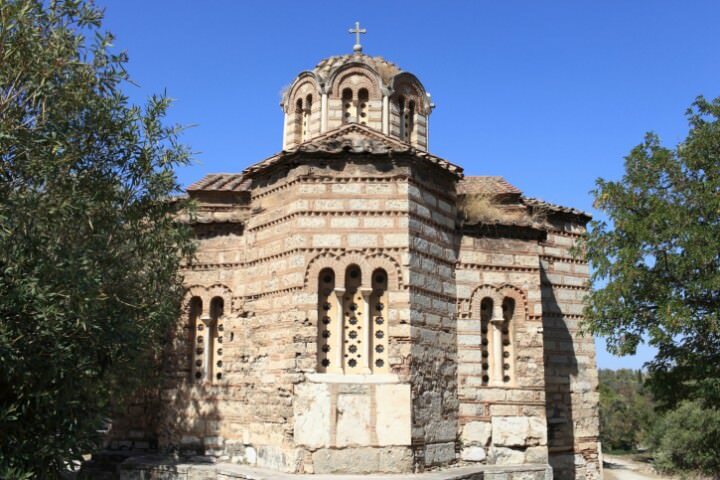 Its side chapel dedicated to Hagia Barbara was added in the 11th Century, while its interior iconography and mosaic of the Panagia are more recent additions. Its marble iconostasio is modeled on the iconostasio of the nearby Monastery of Kaissariani. After sustaining heavy damage in the War of Independence, the church escaped demolition for Ermou Street twice—in 1834 and again in 1863, the first time even being saved by King Otto’s father King Ludwig of Bavaria. Because it is located right in the middle of the modern shopping street it is the easiest to find as you quite literally walk into it. Standing from Syntagma square you can plainly see it wedged between the modern high rises, even half a mile away. The Church of the Holy Apostles of Solaki, or Agoii Apostoli Solaki [Greek: Άγιοι Απόστολοι Σολάκη] is the first significant church of the Middle-Byzantine Era in Athens, and it became a prototype of the “Athenian Type” church, which is mimicked in the domes of later Athenian Byzantine churches. The small church appears very well balanced and symmetrical, and is one of the best examples of its type. Its walls are highly decorated with bands of angled brickwork [known as the ‘dog-tooth’ pattern] and stone in the cloisonné style. The double windows in the dome’s drum are very rare when compared to other contemporary churches. The church was severely damaged in fighting between the Venetians and Turks in 1687, which resulted in several inaccurate and unattractive restorations. The church was completely restored in the 1950’s and is now as close to its original form as possible. It is thought that the name Solaki comes from the family who may have sponsored a restoration. It is the only monument [along with the Temple of Hephaestus] in the Agora that has remained intact since it was originally built.